Happy Monday everyone! Time for a quick Geekly catch up of the weekends events. On Friday night I got around to completing Valiant Hearts. I’ve already talked about the game a fair bit in previous Geekly Reviews so won’t say much more, but overall I really enjoyed the game, the story was interesting, you don’t see too many games focusing on WWI so it was nice to see a change from the usual WWII games. I will most likely go back to it just to pick the collectables so it feels a little more complete. If there is anyone who is on the fence about it, I would recommend it, plus it’s actually a bit longer than I thought it would be, so…you know bonus! Saturday we got up relatively early to head down to Devon to meet up with some friends who were already down there camping. Now, Meg had mostly arranged the weekend, so I didn’t really think too much about it, and one thing in particular that I didn’t think about was a tent. Needless to say, when we arrived we didn’t have a tent. It was mainly due to a bit of miscommunication between Meg and our friend, thinking they had a tent for us. Luckily we were able to buy ourselves one so we didn’t have to sleep outside. Unfortunately the weather wasn’t all that great, but never mind. When you have good company, food and drink it doesn’t really matter what the weather is like. We headed back home mid Sunday, and basically just chilled out for the rest of the day. Then obviously Sunday evening I watched the World Cup final. 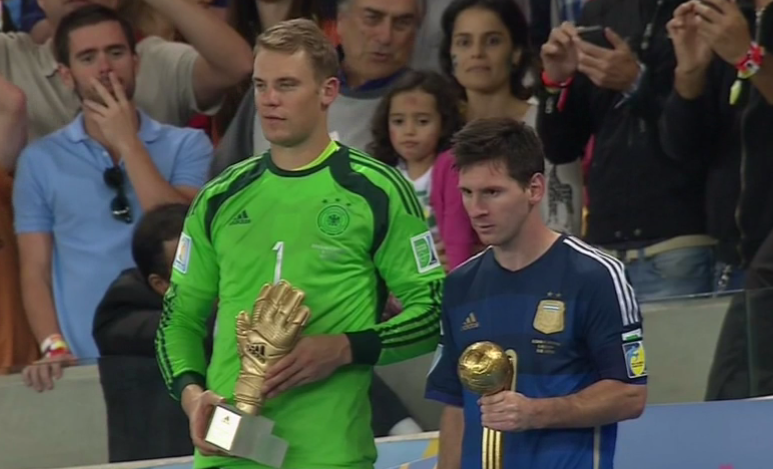 I wanted Argentine to win it over Germany, but ultimately I just wanted to see a good final. To be fair it was a pretty good final, albeit not a belter. There weren’t many chances to speak, but each side had their moments. It was a shame that Argentina lost, but overall I think Germany were worthy winners, they played well throughout the competition, and looked a lot more threatening on the night. Messi just didn’t turn up for the game. After half time I wasn’t even sure if he was still on the pitch, and his free kick right at the end of the game summed up his night perfectly. Messi player of the tournament? Pfft… jog on! Season 1 was brilliant. It’s weird, violent, tense, plus it’s got a great cast and the story was full of twists and turns and pretty original. To be honest when it first came about, I hadn’t really seen much about it, but took a punt on it, and was very pleased that I did. Here’s hoping season 2 is just as good. It also has a pretty odd website to go along with it http://www.thenetworkiswatching.com/. Season 1 is available to watch on 4od at the moment, and like I said it starts again tonight, Channel 4 10pm, with the next episode showing tomorrow at 10pm. Due to work stuff. Murr is AWOL this week, so just me!